The Manthan Yogic village is located at the Morjim beach in Goa. It is strategically placed equidistant from the Ashvem beach and Morjim beach. The resort offers swimming pool and lush green lawns surrounding the rooms. There is an in-house restaurant on the property as well. The room interiors are minimalistic and bright with wallpapers on the feature walls. 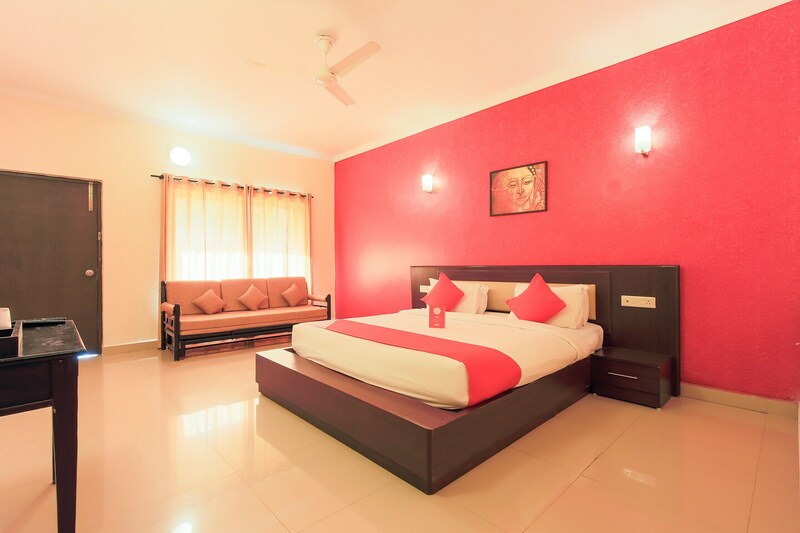 The in-room facilities include queen sized bed with side tables, intercom service, free Wi-Fi, air conditioning, parking facility, television, mini fridge, geyser, seating area with coffee table, geyser, bar, laundry services, spa and CCTV cameras. You can visit the Morjai temple while staying here.